Public Citizen, CodePINK, and Occupy Dallas joined forces for a dance to raise awareness for the secretive Trans-Pacific Partnership Agreement (TPP) talks at a Dallas mall on Thursday, May 17, 2012. The next round of the secret TPP negotiations will be held in San Diego, California, from July 2-10, 2012. 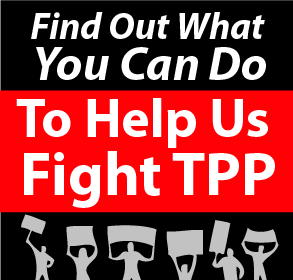 For more information on the TPP, visit http://www.tpp2012.com.